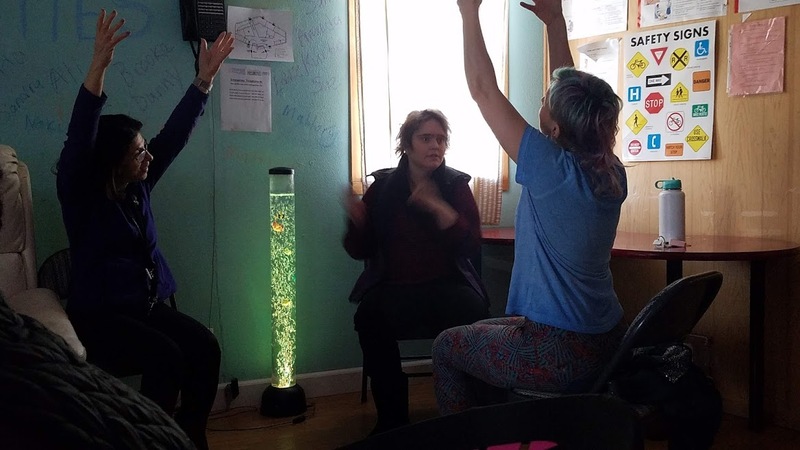 Imagine Possibilities’ sensory room allows our participants a quieter, more secluded space to spend time when they want a break from our more energetic day programs. The room is being expanded on and improved constantly, and right now contains comfortable seating and lying spaces, tents for when someone wants an extra bit of privacy, and colored lights and objects with different textures to stimulate the senses. Small group activities take place there throughout the day, such as yoga group, social skills, and Spanish language class. The room also serves as a calm space for participants to read books and color, take naps, and listen to music. We are currently applying for grants and securing funding to continue to add to the sensory room, so check back often to see what we’ve been up to!